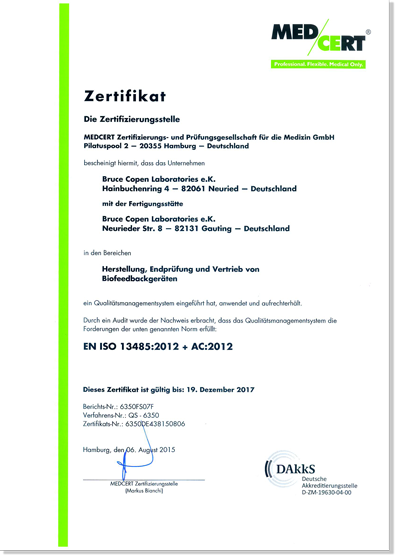 We want to ensure that we offer our customers the best possible service and a standardized quality at all times. 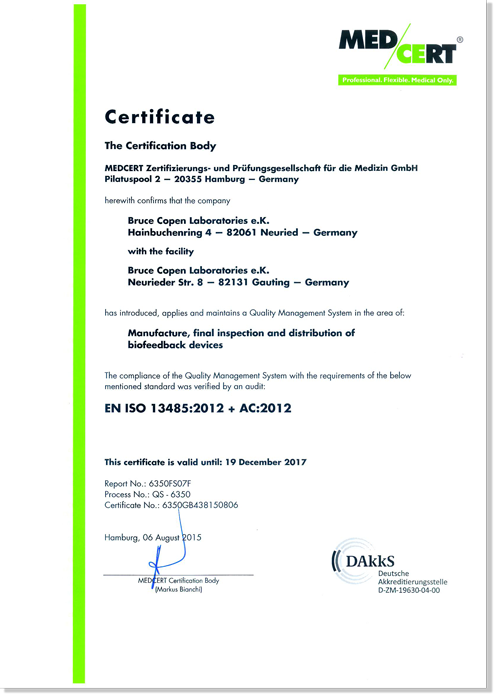 For this reason, we introduced a quality management system in accordance with EN ISO 13485: 2003 + AC: 2007 in our company. 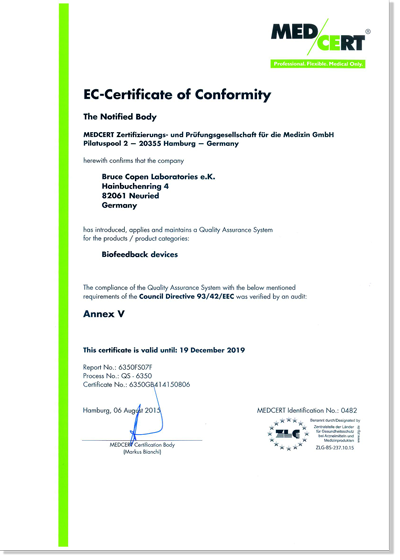 Bruce Copen Laboratories eK is thus one of the few companies in the industry that is certified as a manufacturer of medical products. 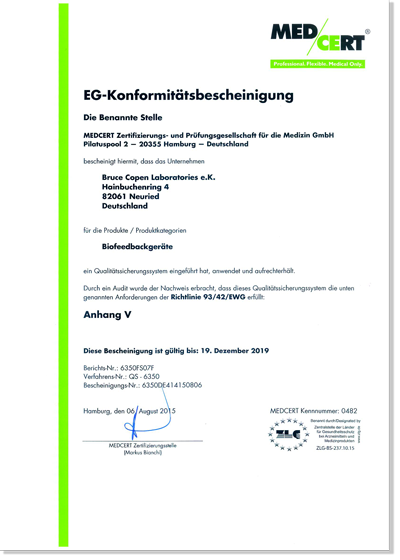 In addition, our MARS III is approved as a medical device class IIa in accordance with Directive 93/42 / EEC.